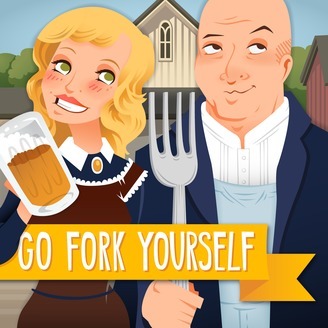 Andrew Zimmern, chef, author, and host of Travel Channel's "Bizarre Foods," explores the world along with fellow food fanatic & traveler Molly Mogren on this weekly podcast. They talk with your favorite chefs and travel experts, and dive into the topics impacting the food & travel world today. Plus, Andrew & Molly will answer your questions. 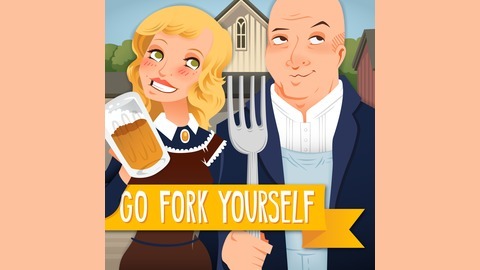 Leave your question on the "Go Fork Yourself" Hotline: 612-246-4582. This week Andrew and Molly trade stories about the time Andrew got stuck at a Canadian airport, the Austin Food and Wine demo no one will forget, Andrew's lawyer's hippie dance and more. Plus, Andrew speaks a bit about alcoholism and chemical dependency.